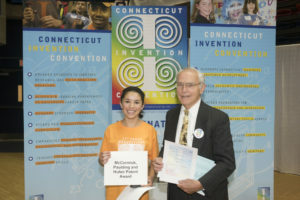 McCormick, Paulding & Huber is proud to be a sponsor of The Connecticut Invention Convention (CIC). The CIC is an organization that encourages critical thinking and creativity in grade schools throughout the State of Connecticut and beyond. Each year students are requested to make an invention as a school project. 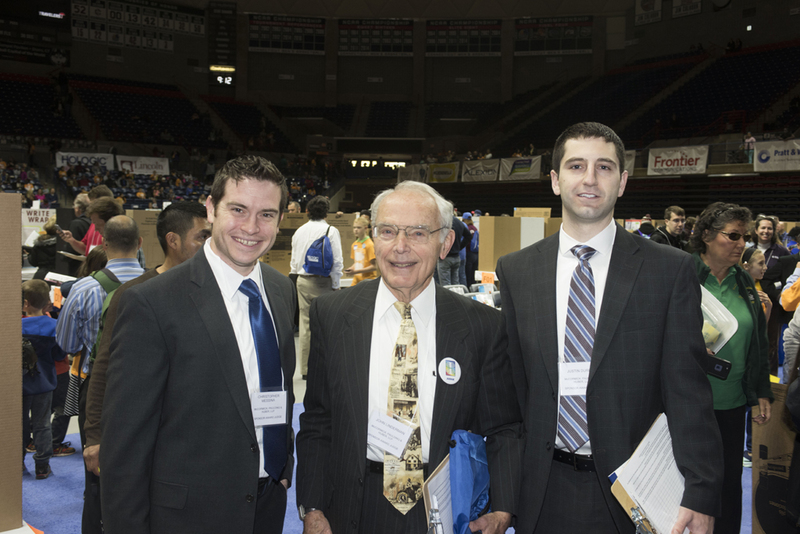 The top inventors from the participating schools attend a state convention to display their inventions in a friendly competition and receive awards recognizing their achievements. McCormick, Paulding & Huber has participated in the CIC since its inception over 30 years ago by providing judges for the competition and awarding a free patent search, patent filing and prosecution of a patent application for the recipient as pictured above. MPH has procured patents for multiple CIC inventors, some of whom have started businesses based upon their invention.